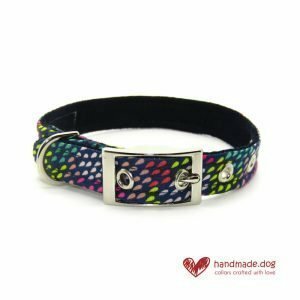 Stand out from the crowd with this gorgeous handmade multicoloured rainbow drops fabric dog lead and brighten up your walk in the park! 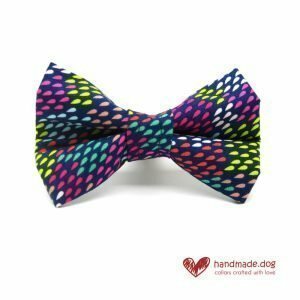 This gorgeous handmade multicoloured rainbow drops fabric dog lead is made with a cotton fabric for a quality finish. 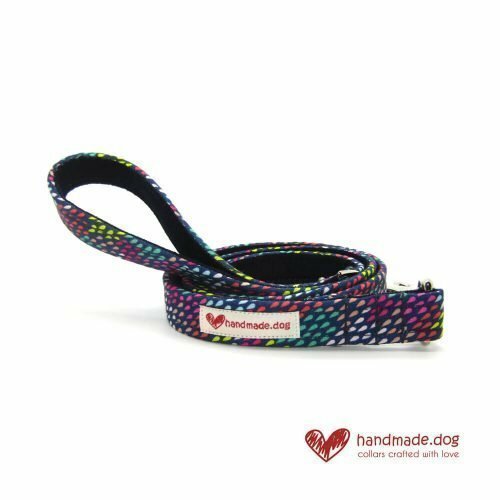 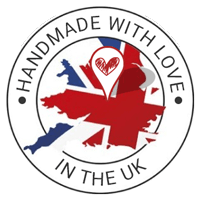 Our fabric leads are lovingly handmade with a strong webbing core, robust hardware and are sprayed with fabric protector to help repel dirt. 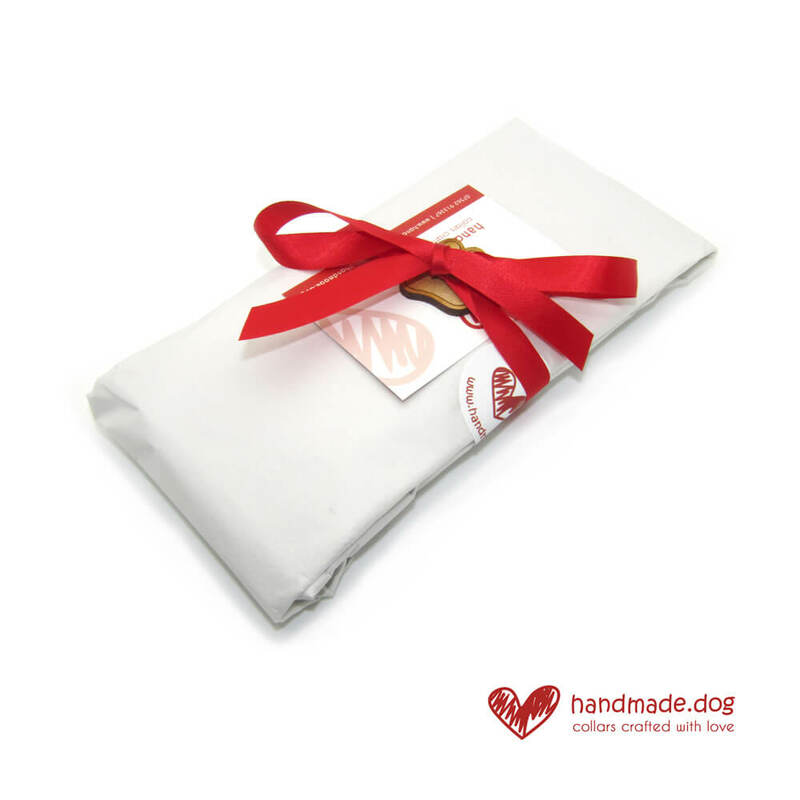 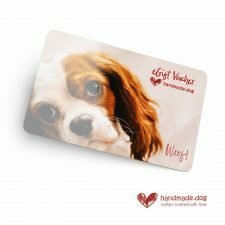 They feature a sturdy trigger hook, a metal hanging loop and our handmade.dog label adds a touch of class. 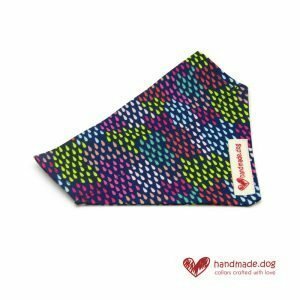 A matching handmade multicoloured rainbow drops fabric dog collar, bandana and dickie bow are also available to make your dog even more dapper! Our leads measure 43 Inches in length (46 inches to the end of the trigger hook), and 20mm in width.